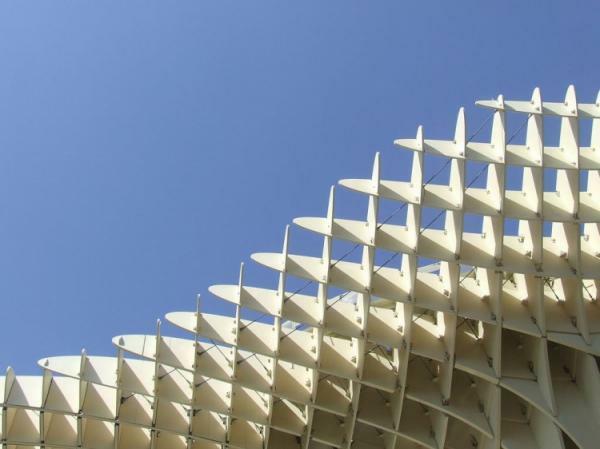 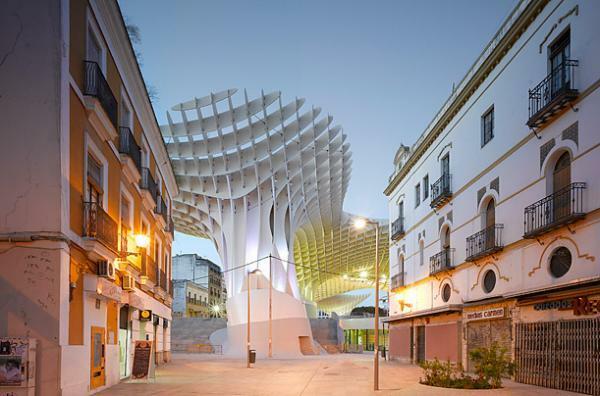 Metropol Parasol is a wooden building placed in La Encarnación square, in the old quarter of Seville, Spain. 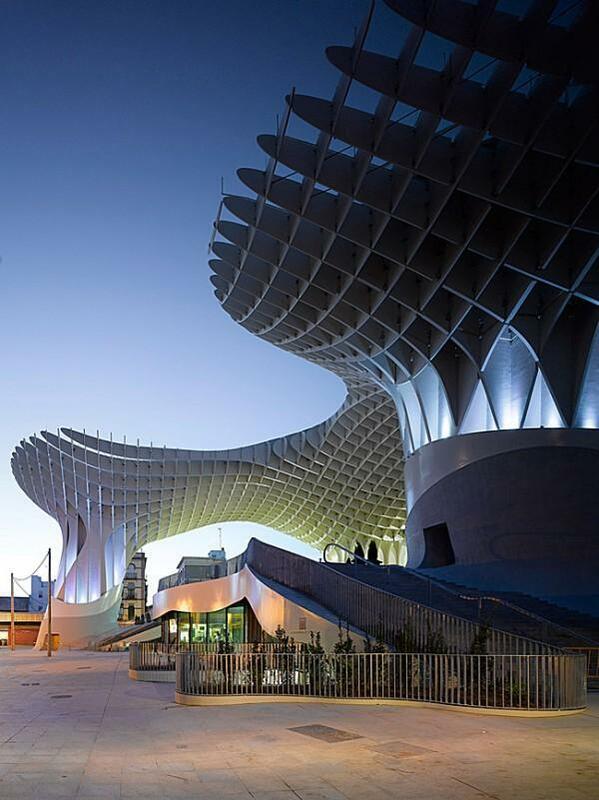 It was designed by the German architect Jürgen Mayer-Hermann and completed in April 2011. 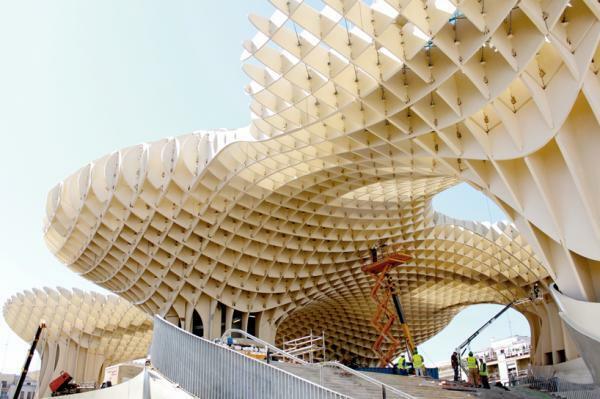 It has dimensions of 150 by 70 metres and an approximate height of 26 metres and claims to be the largest wooden structure in the world. 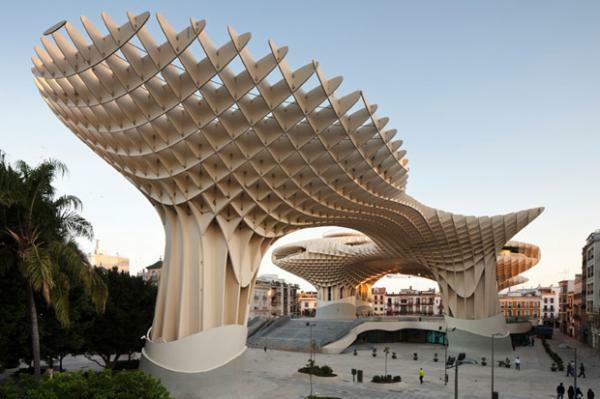 The building is popularly known as Las Setas de la Encarnación (Encarnación’s mushrooms) – a place of identification and to articulate Sevillas role as one of Spains most fascinating cultural destinations. 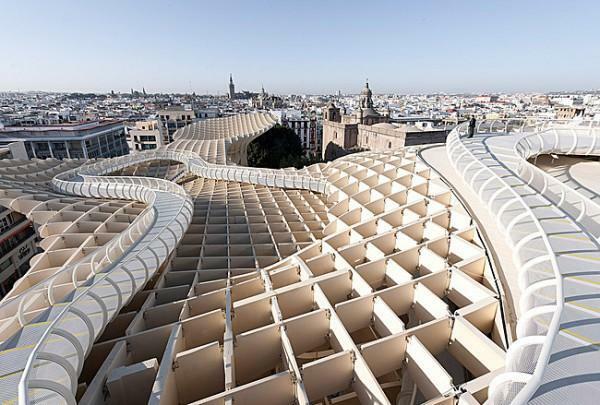 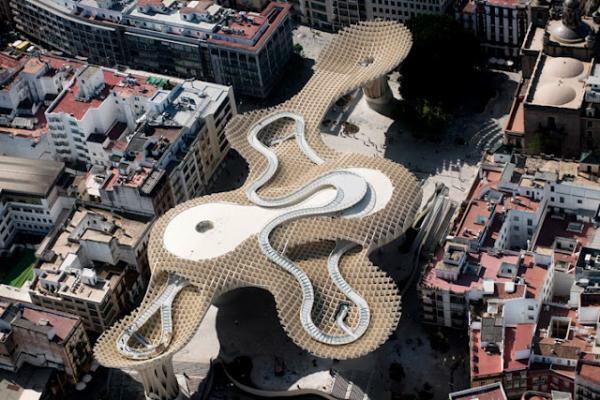 Metropol Parasol is organized in four levels. 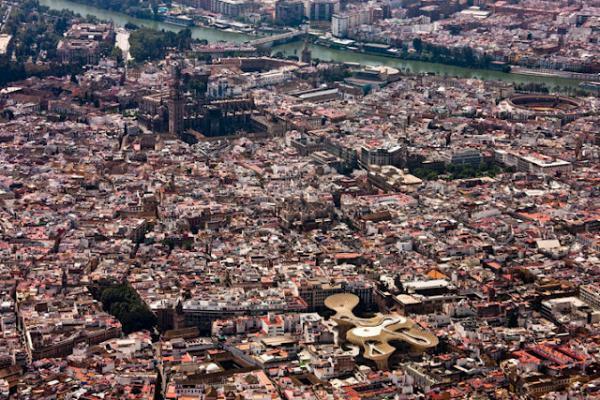 The underground level-0 houses the Antiquarium, where Roman and Moorish remains discovered on-site are displayed. 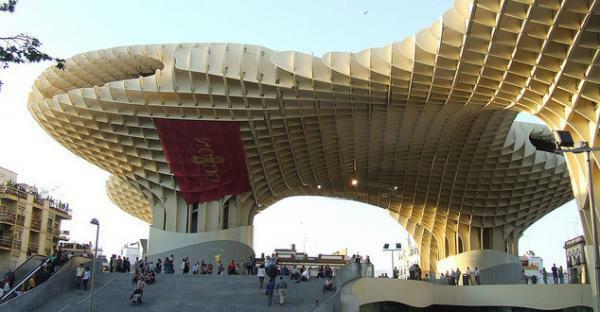 The street level is the Central Market. 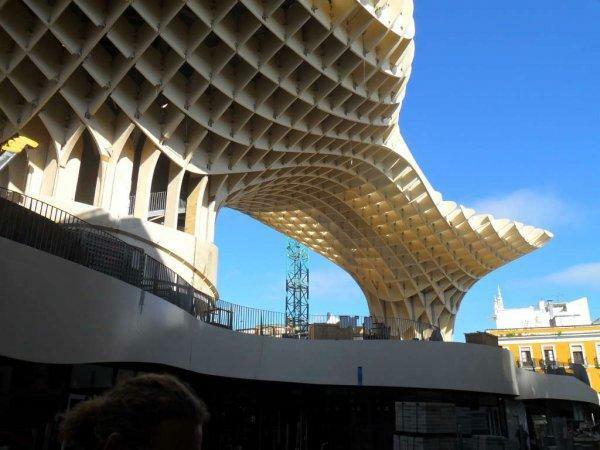 Level-2 and 3 are the two stages of the panoramic terraces (including a restaurant), offering one of the best views of the city centre.